One of the most visible things in Bible journaling is the very distinctive ways that the words are written. Now you’re probably thinking, “I can’t write like that. " Or, "My handwriting is nowhere near that good.” And maybe it isn’t (mine isn’t either). But I’ll let you in on a secret: hand lettering and hand writing are completely different. Handwriting is the way you write normally whereas hand lettering is a way of drawing letters. It is a more deliberate way of doing things and is in fact something that can be learnt. Really. You can learn hand lettering. Over the past few months I have done a lot of research into hand lettering. And here’s the trick to learning: practice, practice, practice! All you have to do is commit a few minutes each day and watch your skill improve. Another thing that can help improve hand lettering is to print the alphabet and short phrases in fonts that you like and practice copying it. A word of caution – Don’t beat yourself up if your hand lettering doesn’t look exactly like the font you are imitating. That’s okay. It should be your hand lettering. Celebrate your skill. Another handy trick to getting interesting fonts in your Bible is to simply type the verse out in your favorite word processing program and print it. This can then be glued into your Bible if you have a journaling Bible or into your journal/notebook if that’s your preferred method. Now I haven’t tried this personally (yet) but other Bible journalers have indicated that this is one of their techniques. Or you could print your verse and put it under your Bible page and trace it out. The pages of your Bible are so thin that the printed words will show easily allowing you to recreate the writing on your page. This technique eliminates the need to introduce medium such as glue into your Bible. A lot of those beautiful Bible pages have elements that are just stickers! In fact, it is possible to make a complete page with stickers if you have the right words. ‘But how do I find the right words?’ you may ask. It’s surprisingly simply. Just collect the words or pictures in a word processing software and print them out on sticker paper and then voila! Stickers! Check out this free printable Bible journaling sticker sheet. If you are someone who is a natural doodler or artist – this will be the easiest thing for you. But if you’re not … then this could be a real challenge. My answer to you is Google! Seriously, I am using Google, YouTube and Pinterest to learn how to draw. Check out my Art Tutorial page on Pinterest. Here’s something I have realized: drawing is not as impossible as I once thought. I won’t be Michelangelo, but maybe someday I’ll get over my cow-phobia and attempt to draw another one. In a lot of ways this will be determined by the amount of space that you have – when you have a limited amount of space you’re forced to get creative. Your design might also be influenced by what the particular passage or verse is about. Or it may be determined by your message. Whatever the case I encourage you to do what comes naturally to you. This is about what God has to say to you. It is about deepening your relationship with him. The message that God is giving you will become more apparent as the meaning of the passage becomes clear to you. Before you even attempt to illustrate, seek to understand the lesson that God is teaching you during your time together. The enemy is tricky. He will get you so caught up in making “pretty Bible pages” that before you know it you will have a lot of beautiful Bible art but you wouldn’t have hidden any of God’s word in your heart. Please, please, please trust me on this: Bible art journaling is not about creating museum worthy art. It is about forming a beautiful, lasting relationship with the one who created heaven and earth and everything in it, including you and me. Jehovah longs for a relationship with us and he craves that time that we spend alone with him. He has much to teach us if only we would sit still long enough to really hear him. We serve an awesome God and I pray that you will use the time spent illustrating your faith as an opportunity to learn from a Great Teacher. 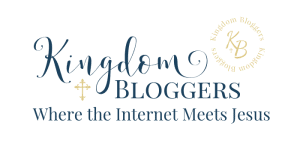 Loved this post on Bible journaling? Check out the rest of the series here.